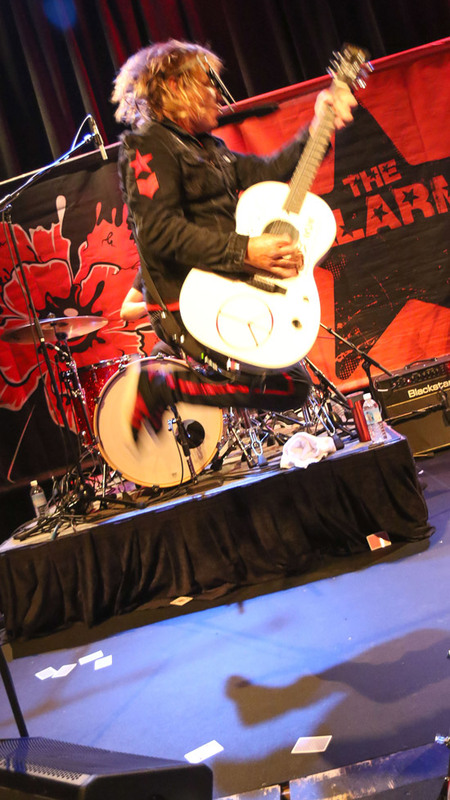 Mike Peters and The Alarm USA Tour 2017 is now heading to California and the Pacific West Coast for the continuation of the Vans Warped Tour plus remaining headline shows and the official premiere of ‘Man In The Camo Jacket’, that will take place at the Grammy Museum, Hollywood, Los Angeles on Thursday August 3rd. 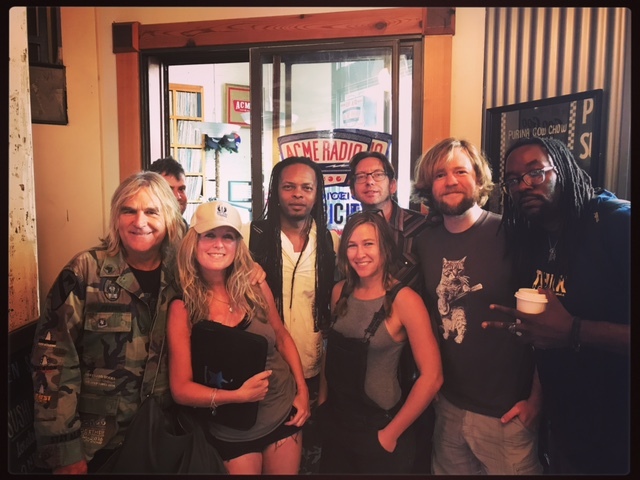 The band have just completed a very exciting run down the East Coast and on through the Southern states to Texas. 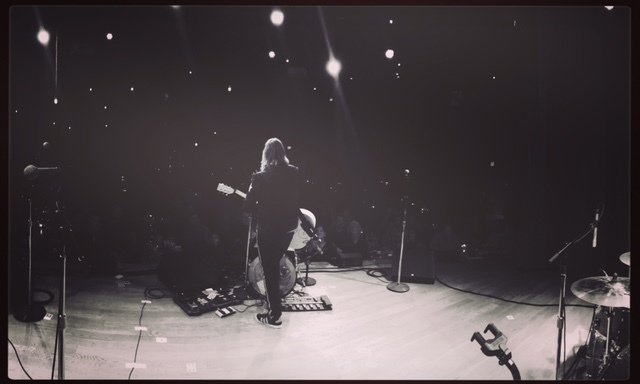 The concerts in Boston, New York and Sellersville were all sold out, and the audience reaction was outstanding every time. 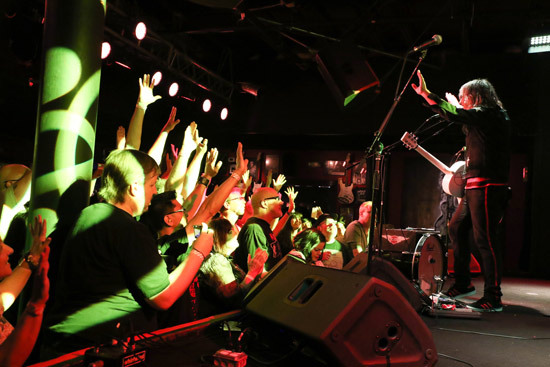 The group rose to the occasion by playing different sets at each venue. 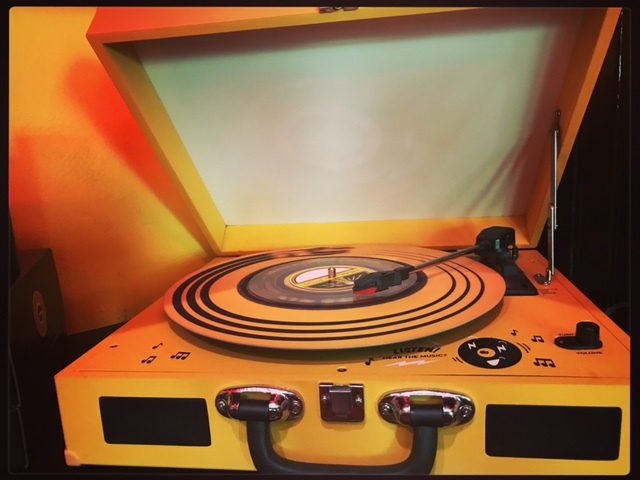 The Once Ballroom concert in Somerville, Boston began with an introduction from long time supporter and radio DJ – Carter Alan, followed by the brand new and unreleased ‘Peace Now’. The song set the scene for a ballroom blitz of an Alarm concert with the band powering their way through a 2 hour set. 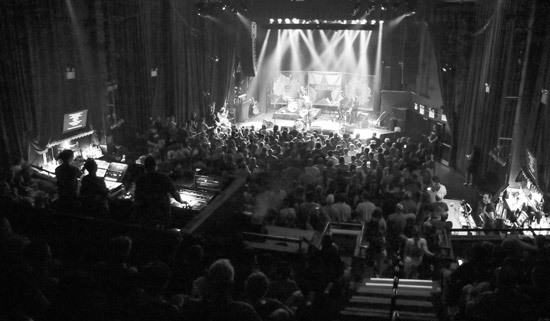 The next night in NYC at The Gramercy featured a classic opening of ‘Declaration / Marching On’ and another two hour set of the highest quality including an outrageous version of ‘Drunk and Disorderly’ with the ever popular Smiley demonstrating why he is such a class act and rock steady drummer. 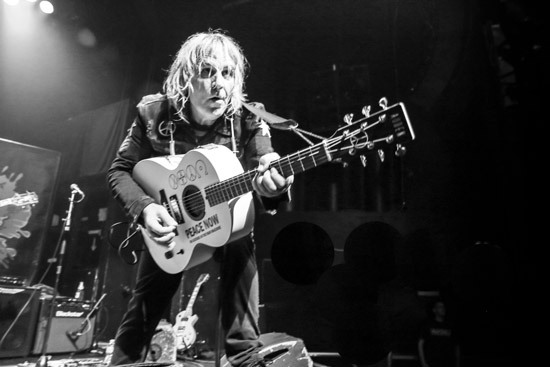 The chemistry generated between Smiley and multi-instrumentalist James Stevenson just gets better with every performance, and provides the perfect compliment to the Mike Peters electro-acoustic guitar attack. 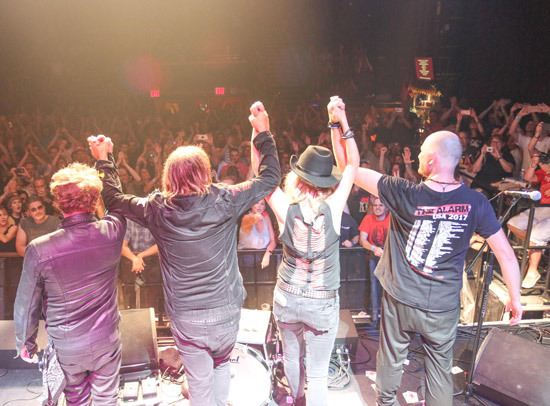 The band finished the night as a four with Jules Jones Peters keyboards signalling the beginning of a closing double header of ‘Strength’ and the new Alarm anthem of the moment – ‘Two Rivers’. 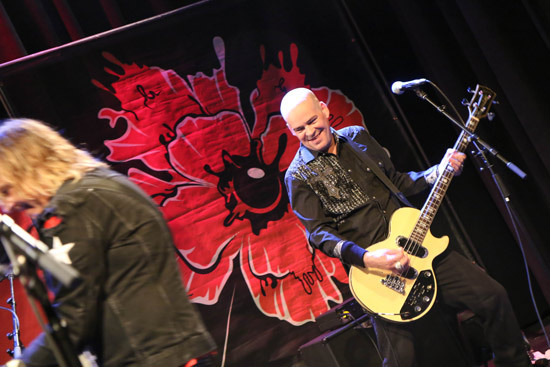 At the Sold Out Sellersville Theatre show near Philadelphia, fans were in for a surprise when the band kicked off the show with Craig Adams on bass guitar. 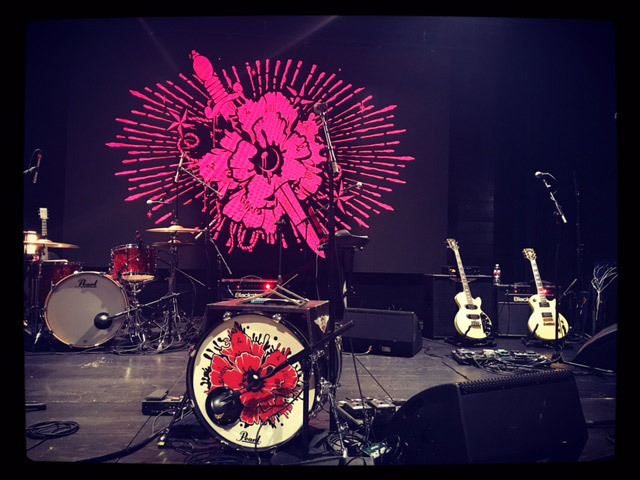 James Stevenson had flown back to the UK to take part in a TV special about the life and times of Tony Visconti (Producer of The Alarm album – Change), and so Craig was on hand to ensure that the show went on as normal. It was business as usual despite the line up change, proving once again that these ‘Alarm’ musicians are all world class players of the highest calibre. 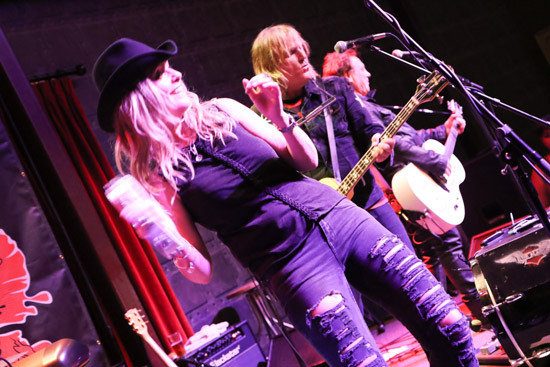 The Sellersville show featured an amazing up tempo version of ‘Deeside’, and solo Mike Peters acoustic performances of some of the newer ‘Blood Red’ songs including ‘Love and Understanding’ and a contrasting version of ‘Two Rivers’. 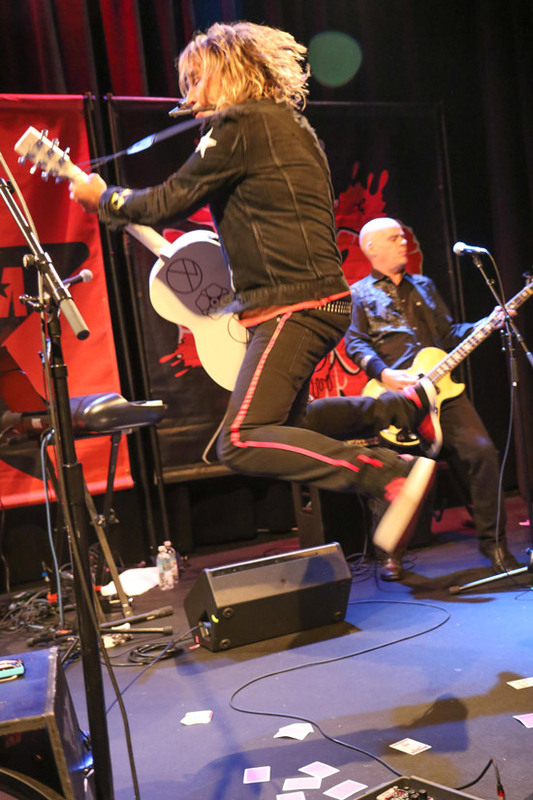 The seated audience were on their feet throughout the entire show and the set closed out with a version of ‘One Guitar / Rescue Me’ that saw Mike Peters jump into the crowd with his guitar and rock out with almost everyone in the theatre. It was as thrilling a concert as you could wish for. 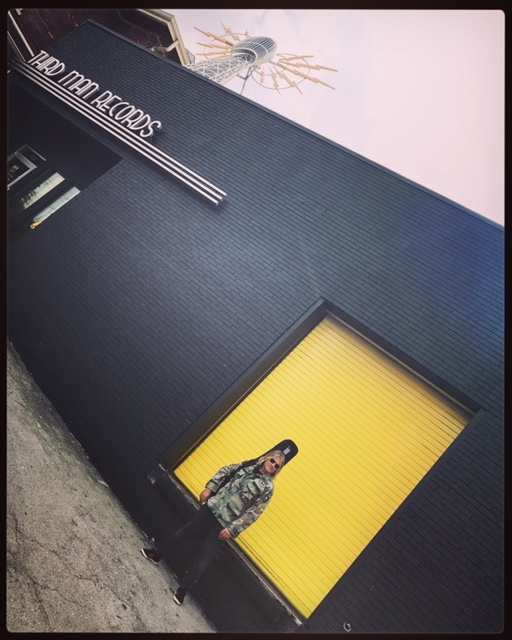 It was time to leave the East Coast and the band’s ‘Man In the Camo Jacket’ liveried Tour Bus took them down to the south and another ‘Sold Out’ gig in Atlanta, Georgia at the City Winery. 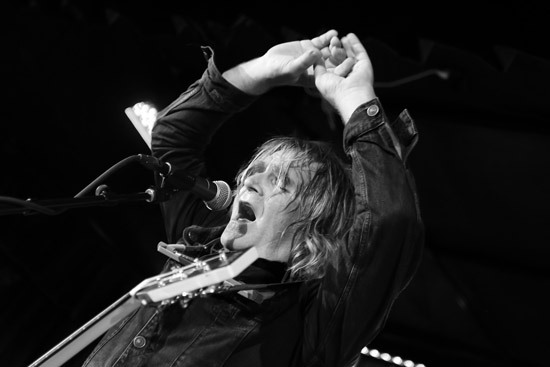 The Winery is a high class seated type of venue and so Mike Peters and The Alarm (with James Stevenson back in the line-up after his lightning trip to the UK), took the audience on a journey through Alarm history from the early beginnings of ‘Unsafe Building’ and punctuated the 1:45 set with all kinds of stories and anecdotes including the first Alarm show in Atlanta with U2 in 1983 and on to more modern incidents such as the ‘Poppy Fields / 45 RPM’ subterfuge. 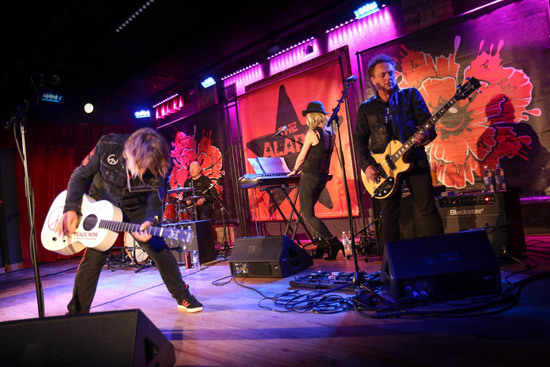 The seated audience could not contain themselves and were soon up and rocking with the band from the front to the back. All the musicians stepped into the hall to take photos and sign albums and memorabilia from all eras of the group’s history. 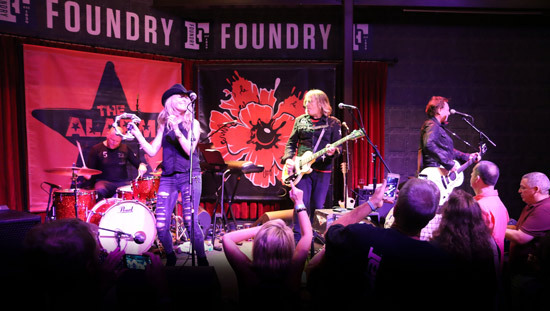 The next day, the band were only an hour away from Atlanta at the Foundry in Athens, Georgia. A lot of people who could not get into the Atlanta show had made their way here instead, along with quite a few who had decided to attend both concerts. The set list could not have been predicted, as Mike Peters threw out the rule book and took everyone on a chronological song by song journey through Alarm history beginning with a rare outing for ‘Shout To The Devil’ (which was the first song to ever be performed by the band back on June 6th 1981) and continued right the way through to the newest song in The Alarm repertoire ‘Two Rivers’ with Mike Peters playing bass guitar no less. 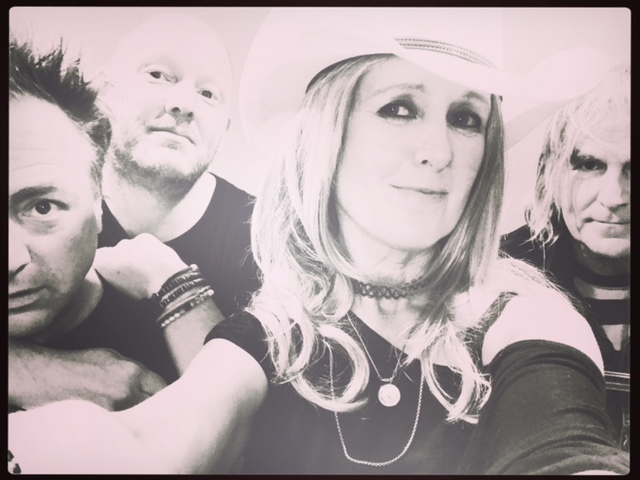 ‘No Frontiers’ was a highlight during the acoustic section and the band were tight and loose as the situation demanded and again showed just how versatile they can all be when called upon. 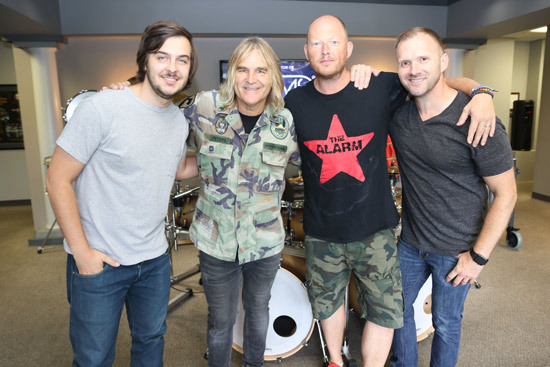 12 hours later the touring party found themselves in Nashville, Tennessee with an early morning visit to the head offices of Hohner Harmonicas and then the Pearl Drums HQ and who are both endorsees of the artists we know as Mike Peters and Smiley. 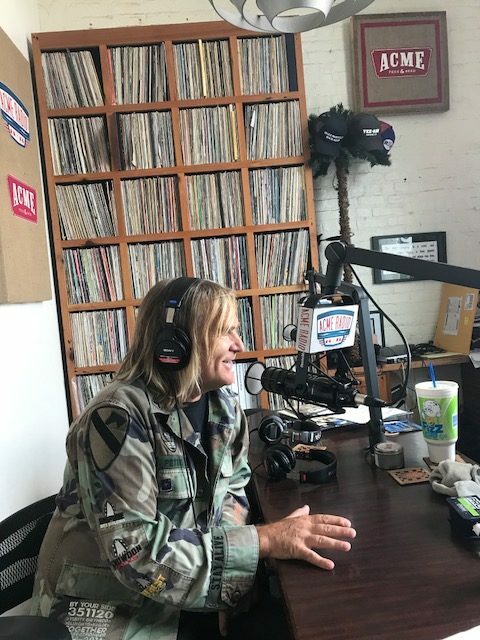 It was to be the beginning to a packed day of activity for Mike Peters as he soon found himself live on air at the Vinyl Lunch which was broadcast live from a store front window downtown on Broadway. 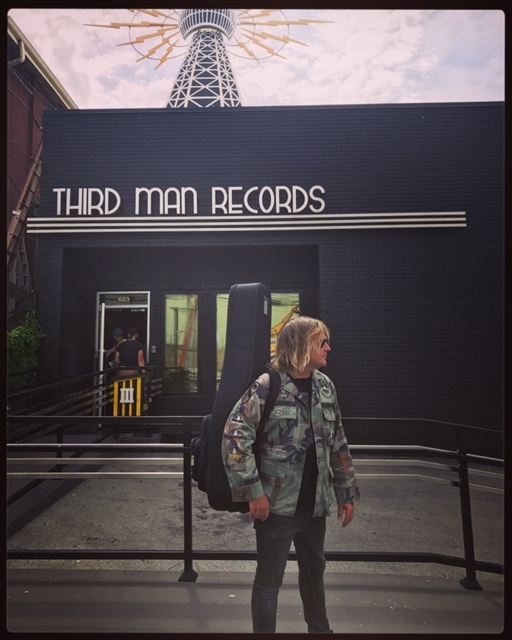 Mike then managed to squeeze in a special recording session at Jack White’s Third Man Record Store performing two ’30th Anniversary’ acoustic versions of ‘Rain In The Summertime’ which were cut direct to Vinyl on the stores historic ‘Record Your Own Voice Booth’. 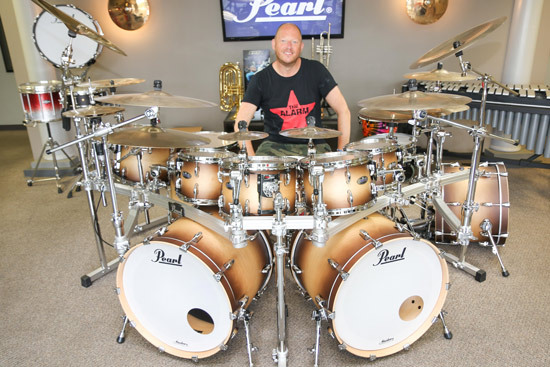 Mike did something similar when he was here in 2013 and recorded 30 unique anniversary versions of ‘Sixty Eight Guns’. 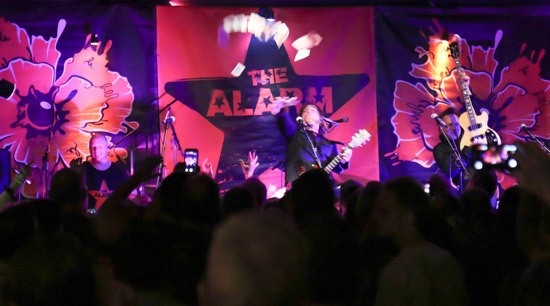 (Watch this space for news of how Mike and the alarm.com intend to honour the 30th Anniversary of ‘Eye Of The Hurricane’ soon). 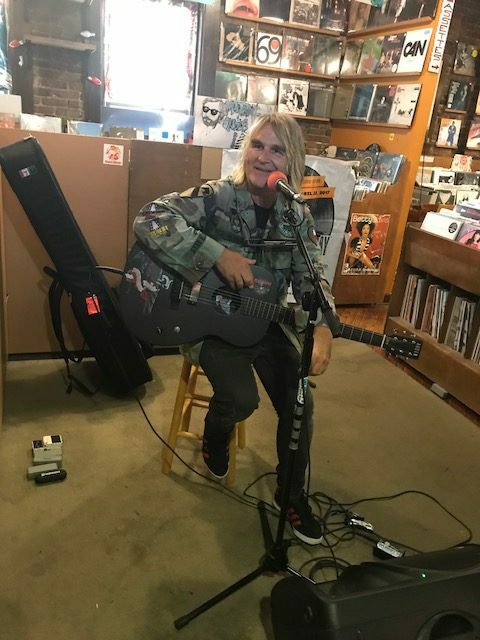 Mike then found himself in another vinyl record store named Grimey’s for an up close and personal acoustic set and signing session. 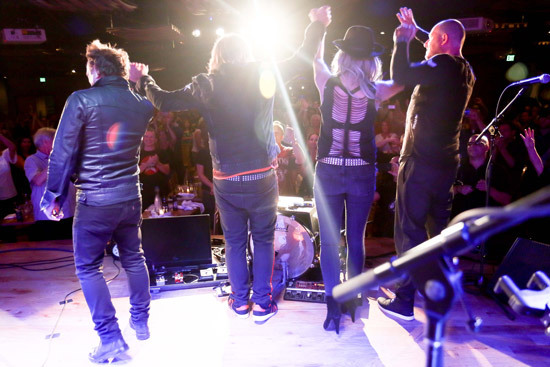 There was a great turnout of fans who had come to the store ahead of the show which was taking place at another of the City Winery concert venues later that evening. Mike took requests and was surprised by a call to play ‘Right Back Where I Started From’, which Mike duly performed note perfect. 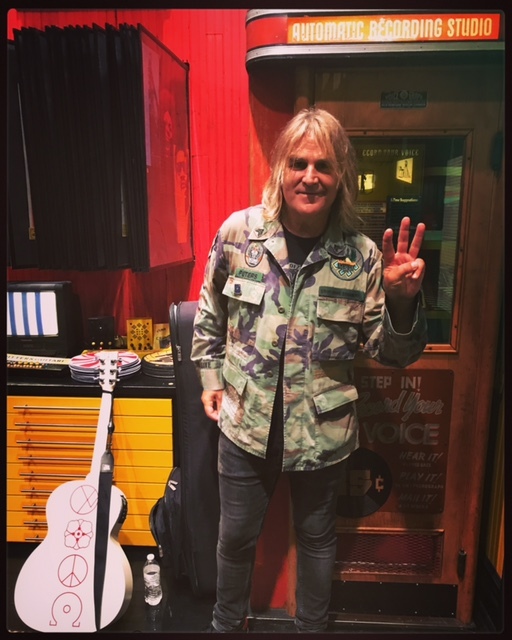 There were questions about Freddie Mercury and Queen and how the Alarm had come to play with Queen at Wembley Stadium in 1986 and Mike told the story of walking down Wembley Way with all the fans and playing soccer on the pitch before the gig. Mike took his time to sign autographs and copied of the Man In The Camo Jacket Soundtrack LP and even managed to grab himself a copy of The Smiths’ debut album in between photos with fans (Mike said that he’d only ever had the original on cassette). 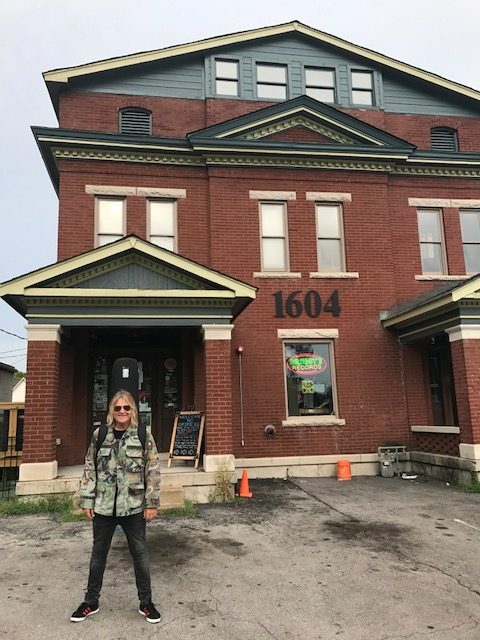 He was soon back at the Nashville City Winery and this time, the stage was set for a pre-show screening of ‘Man In The Camo Jacket’. 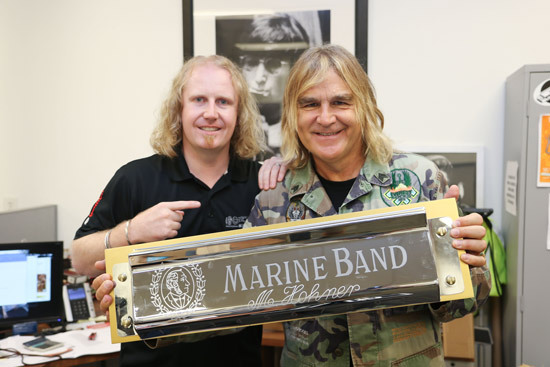 Mike Peters was introduced to the stage at the end of the film and along with Tour Manager – Andy Labrow, hosted an emotional Q&A with an audience that had given him the ultimate accolade of a standing ovation. 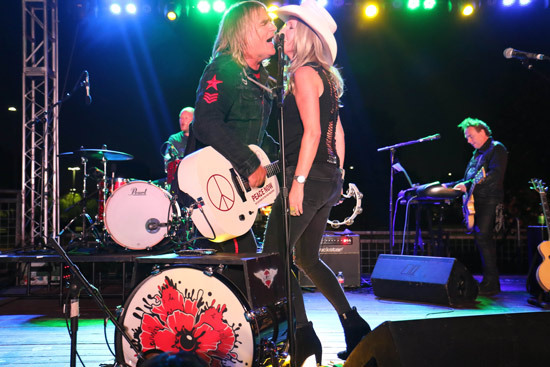 A quick changeover and Mike Peters was back out on the stage along with Smiley, James Stevenson and Jules on piano. Another diverse set list followed with the band on top form all the way and again closing out the concert with a massive version of ‘Two Rivers’ that had each and every audience member singing along in unison. 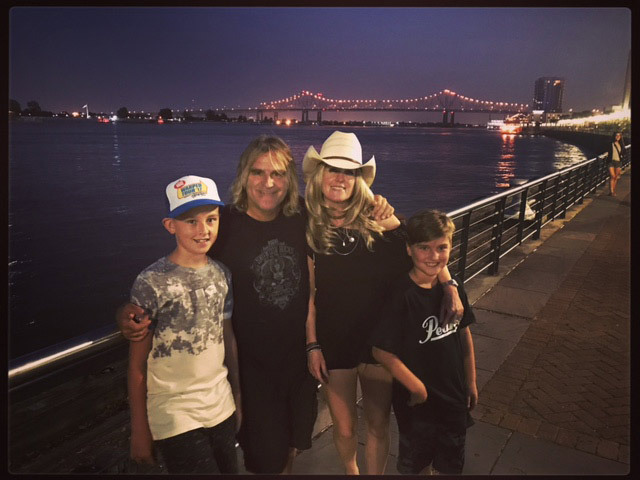 It was a massive road trip down to New Orleans and the Mississippi Delta and while the local crew members of the House of Blues on Decatur Street helped Sound Engineer Mark Warden load the equipment into the venue, Mike, Jules, Dylan and Evan went for a walk to the famous river. 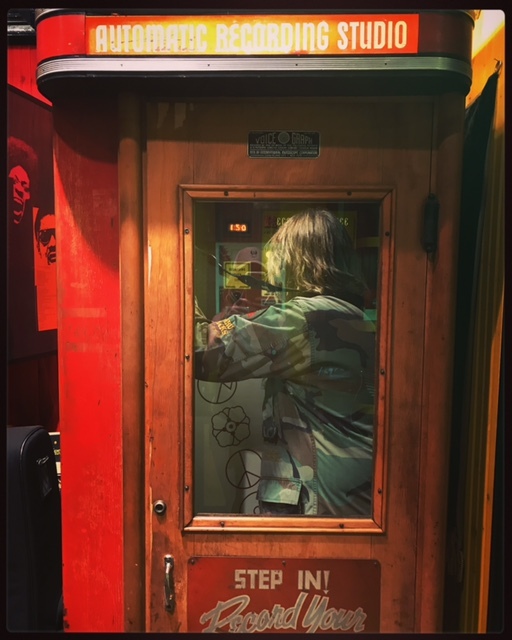 On the way there, Mike had spotted the infamous Kerry Bar where original Alarm Guitarist Dave Sharp had once held a three year residency. 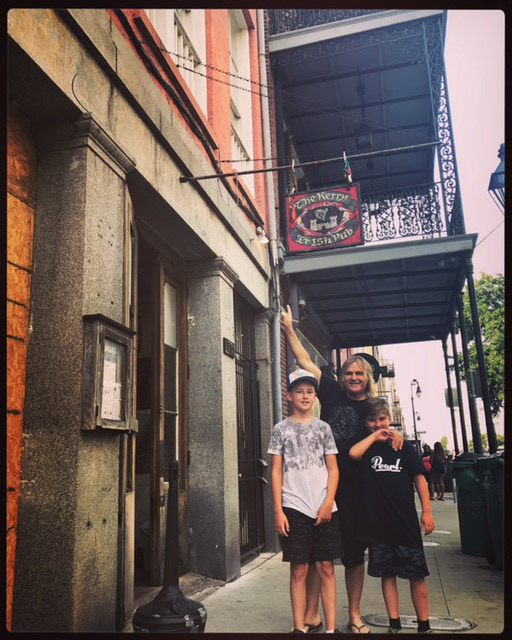 Mike took a photo to send back to Dave (who is playing as very special guest on the October UK Tour), as it was here at the Kerry Bar in New Orleans that Mike once travelled in 2003 to visit Dave and pave the way for a reconnection of their friendship. 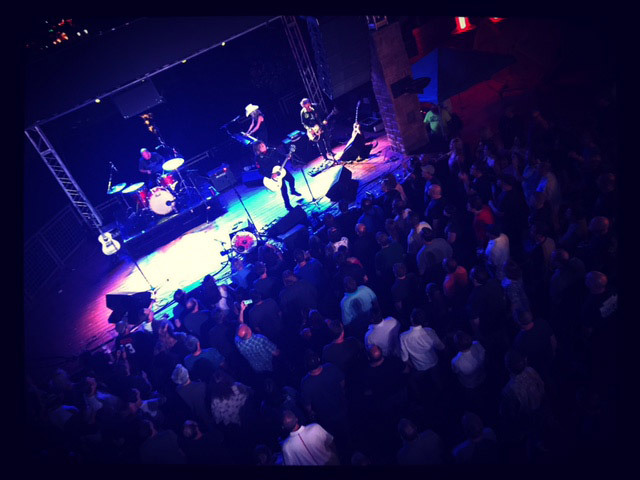 The concert at the House of Blues Parish was an all standing affair and to honour the setting, the band opened up with Sold Me Down The River and a set list unlike any other on the tour so far. Mike seemed to delight in performing a verse and chorus of some older and rare Alarm trackless between the band versions. 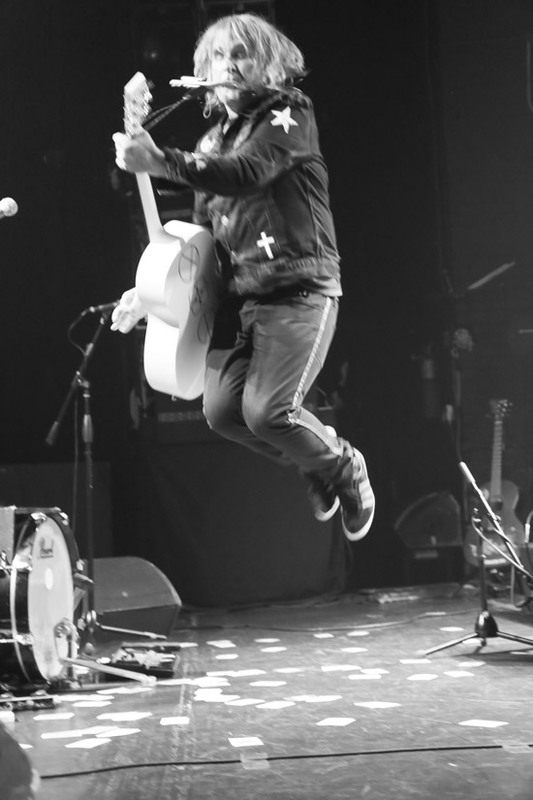 The audience were also treated to ‘One Step Closer To Home’, which Mike dedicated to Dave Sharp. The group jammed out a version of ‘Knife Edge’ that was a real surprise as it started out with just acoustic, harmonica and down stage kik drum before turning electric at the mid way point after a slow burning build up of interplay between the drums and bass of Smiley and James Stevenson. 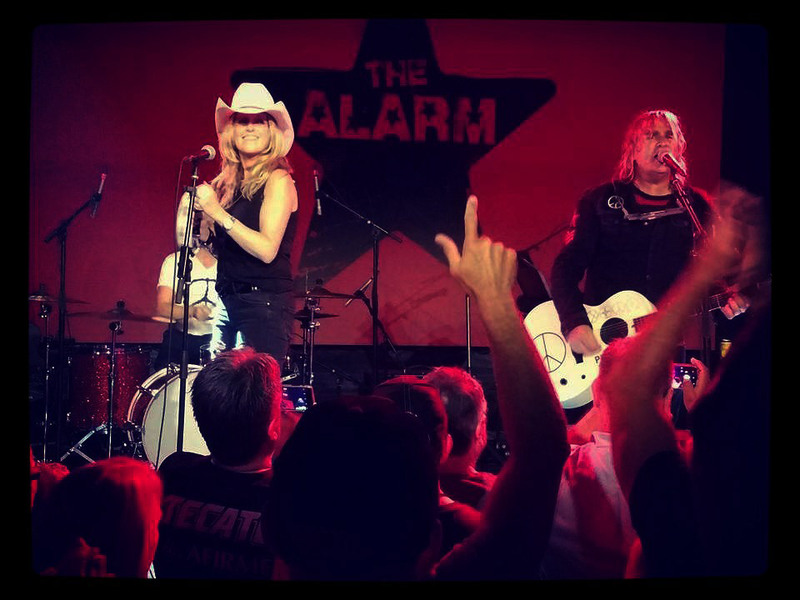 It was a brilliant night for any fan versed in the history of Alarm b-sides and non-single Alarm tracks. 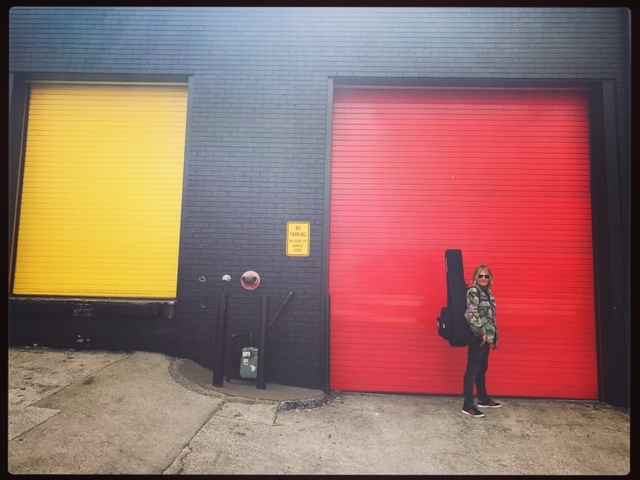 Next stop was the first of three shows in the tours – ‘tour within a tour’, of the state of Texas. 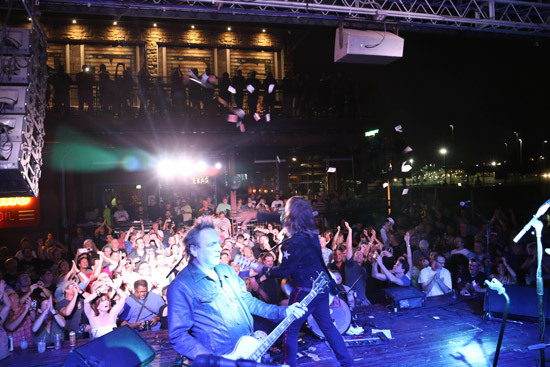 The first event was at the 3Ten venue in Austin which was once again completely ‘Sold Out’. 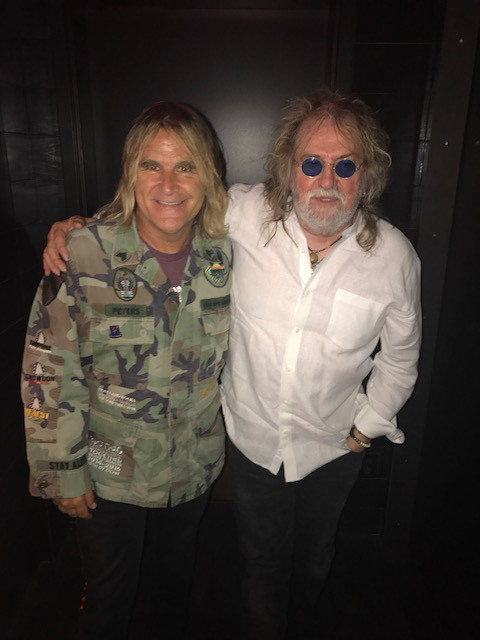 Before the show a visitor arrived in the dressing room in the shape of the legendary Texas musician Ray Wylie Hubbard who had immortalised The Alarm in his song ‘Snake Farm’ and was playing in town that night also. 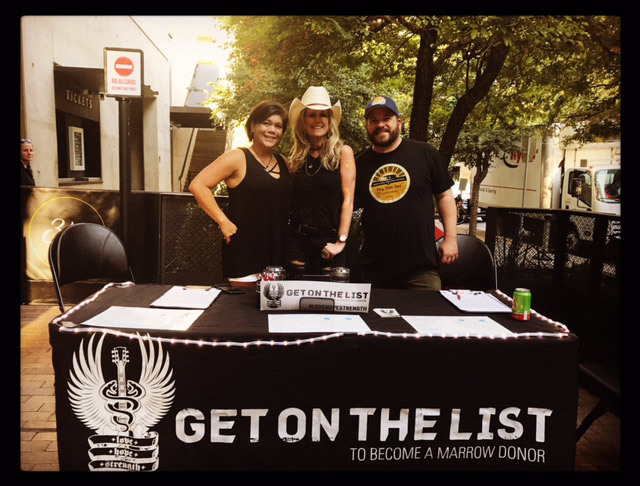 The ‘Get On the List’ booth was ready and the stage was set as band hit the go button and ripped into a set that featured some of the newer Blood Red material like ‘Coming Backwards’ and concert highlight – ‘Love and Understanding’ which featured some brilliant guitar work from Mike Peters. 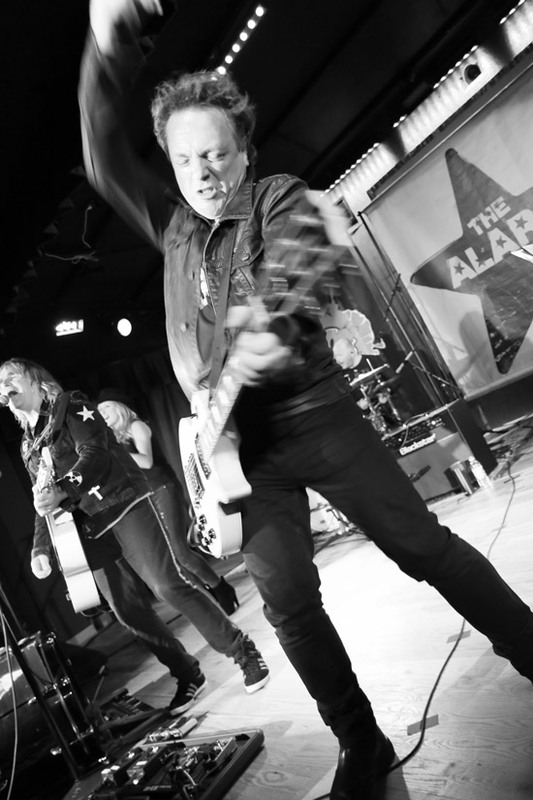 The audience were in fine voice throughout and the heat was so intense that all the doors of the venue were flung open and a second crowd assembled outside the venue to see what was going down inside the four jammed packed walls. 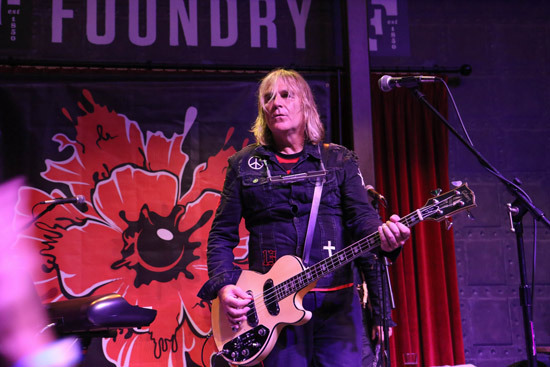 Houston was another show that saw the band taking risks with the song selection and an incredible night was had by all who came especially the contingent from Rhyl who were all sporting Welsh Dragon T-Shirts! 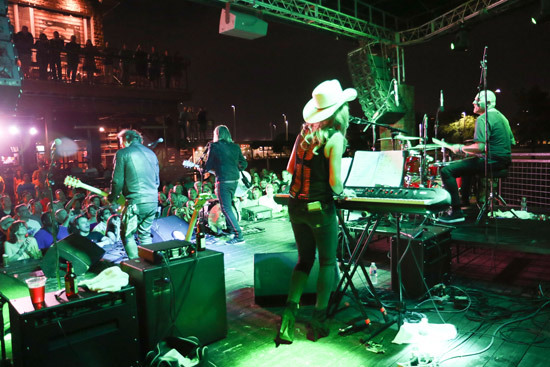 The Dallas concert was performed on an outdoor stage amidst incredible Texas heat. The moon and stars shone down on the band who played a two hour set that was one of the best so far. The band seem to be relishing the fact that night after night they are hitting stage and taking all the challenges in their stride. 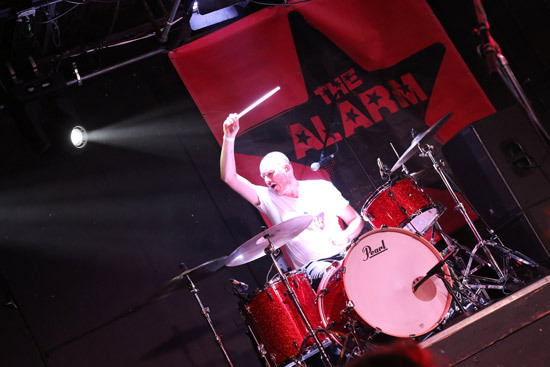 It’s amazing to see such a fervour for the Alarm’s music being expressed, especially the reaction that greets the modern era songs such as ‘Superchannel’, ‘My Town’, ’45 RPM’ etc. 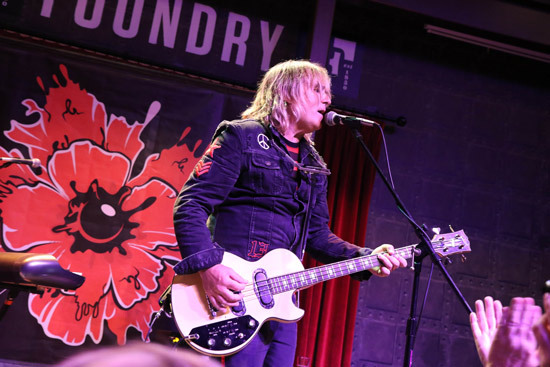 or as in tonight, the roar that followed a show piece ‘Drunk & Disorderly’ that saw Mike Peters and Smiley trading drum riffs and chord sequences effortlessly together. 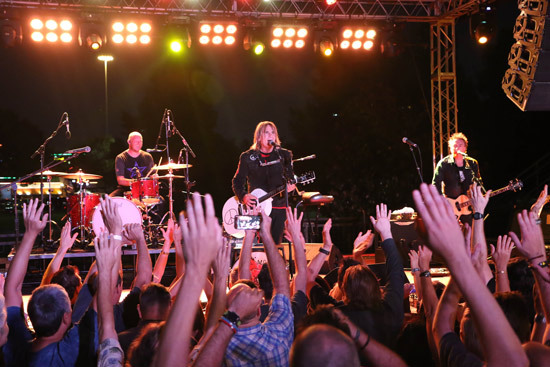 These are the kind of gigs that define the term Rock and Roll. Unpredictable, edgy and emotional events that pull everyone in, and bind people of a similar mindset and outlook, together as one. 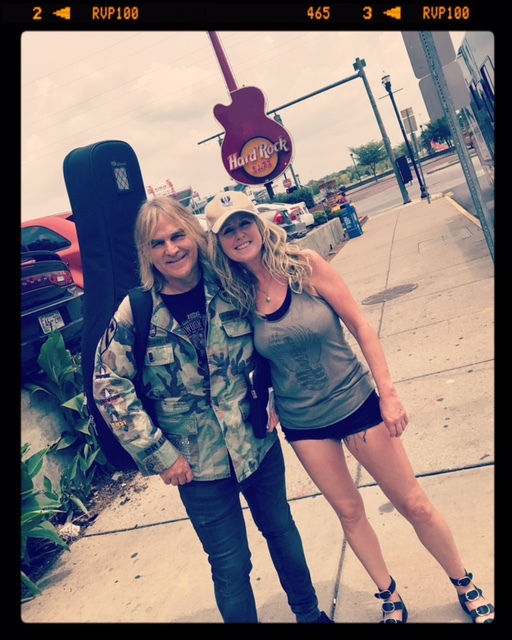 “Is this the way to Amarillo?” said Mike Peters as he stepped off the tour bus for a photo session at Cadillac Ranch. 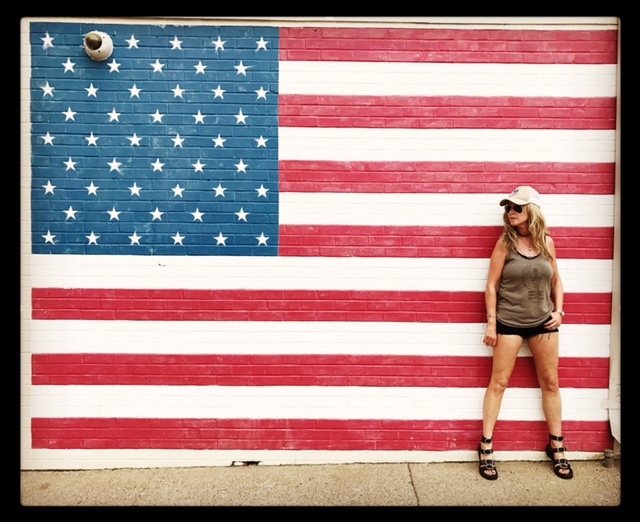 Look out California – The Alarm is coming.